Concept: Phoenix © 1980 Amstar Electronics. 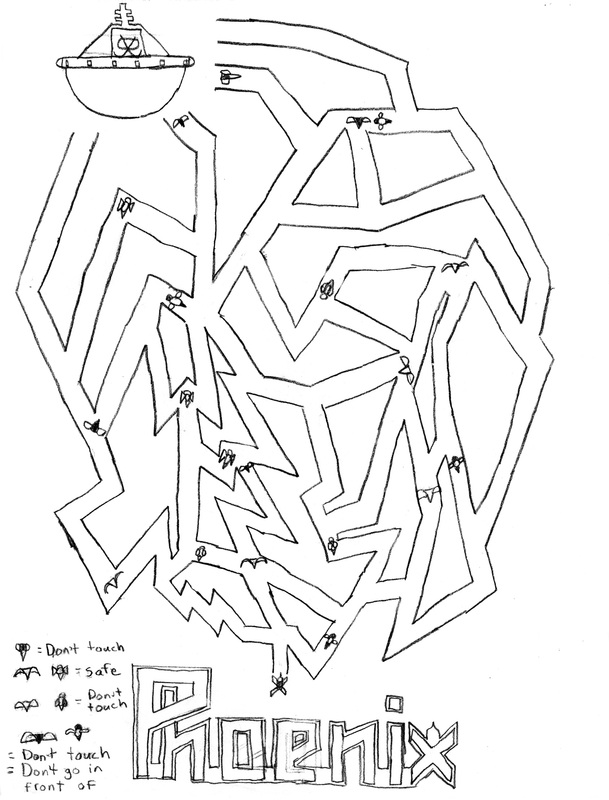 This maze simulates zig-zagging through the attacking birds of Phoenix on your way to the mothership. It adds the extra wrinkle of enemies you can't pass in front of, because of their line of fire!